Glo 4G LTE is live and available for all Glo subscribers to use. When i was expecting Etisalat to launch their own 4G LTE service, Glo has proved to be the next after MTN launched their own Visafone 4G service. Glo 4G LTE data plans are quite cheap compared to its competitors. Glo 4G LTE is the next deal now and i will be teaching you how to activate Glo 4G LTE data on your phone. 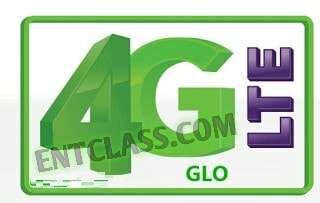 How Can I Activate Glo 4G LTE On My Smartphone? First of all, you must make sure you have a 4G LTE enabled smartphone. Visit any Glo office nearest to you and buy a new Glo 4G LTE SIM, get it registered there or swap your Glo sim for a 4G LTE sim card. Once you have gotten the new Glo 4G LTE sim card or successfully swapped your Glo sim card, dial *777# to get any of the 4G available plans. To make Glo 4G LTE data browse on PC, you need to insert your Glo 4G sim card into Glo 4G Router or any Universal 4G MiFi available to you. It will not work if you insert your Glo 4G sim card into your normal Modem. You can alternatively connect your 4G LTE enabled phone via Hotspot tethering to your PC and feel the speed too. That's all buddy! Do let me know where you got your Glo 4G sim card and more details on your experience getting one. Kindly use the comment box below. I use Infinix Note 2 - 2GB RAM Variant. Yea sure. It's really bad though. I'm yet to confirm that. This would help people a lot, thanks for the information. For 4LTE ONLY... IS NOT GOING TO WORK ON 3G?